There’s so many clever sayings and quotes, fun poems and witty remarks with gift tags now. 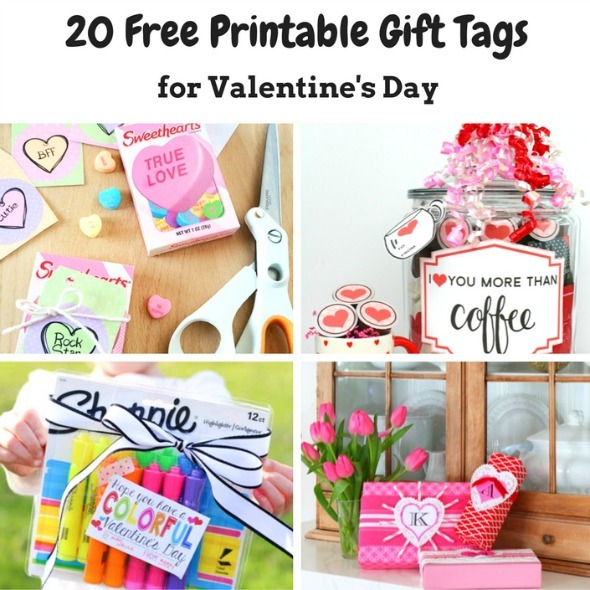 Since you may be as overwhelmed as we are trying to get Valentine’s ready for school classes and friends, we thought it’d be helpful to share these 20 Free Printable Valentine’s Day Gift Tags. From candy treats, to jar gifts – even non-candy Valentine’s like markers or crayons – these Valentine’s tags are sure to be a hit this February!